During this trimester, my training has changed the most. I dropped the weights and I also reduced the days I trained, especially later in the trimester. This was a combination of lack of energy and being busy. 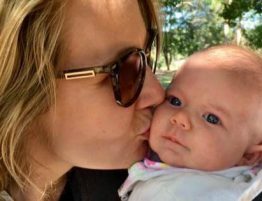 So through most of my pregnancy I trained four days a week (sometimes three and sometimes five), but from about 34 weeks it was more like three, sometimes two. And I didn’t feel guilty about it. 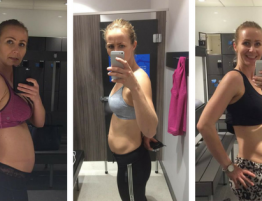 I dropped the weights to work to my weakest link – my pelvic floor. 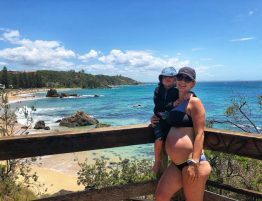 During my third trimester, I started to experience a bit more heaviness in my pelvic floor, especially if I was on my legs for a long time. Saying that, I haven’t been wearing my pessary that much, and when I saw my women’s health physio at 35 weeks, she recommended me to definitely use it on the days when I’m a lot on my feet. And that really helped. Heaviness went away. The reason why I didn’t use the pessary that much was because I experienced some bleeding after taking it out couple of times. I checked it with my midwife, and she said that’s just because everything is more sensitive, but there is nothing to worry about. However, when you are pregnant, you don’t really want to see any blood on your underwear. So I tried to avoid using it. But, as it turned out, my pelvic floor felt better with the pessary than without (and luckily I didn’t have any more bleeding). On the good note, when I saw my physio at 35 weeks, she said that my pelvic floor is still nice and strong (woohoo). 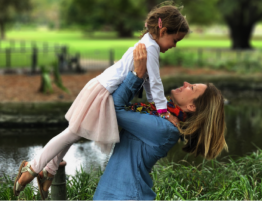 And what makes me even happier when I think about this pregnancy is that I haven’t really experienced incontinence, which is awesome (let’s hope it will stay like that post-birth). I did suffer from some back pain, though. However, what really helped was a lumbar support cushion (I used it mostly while driving) and lower/upper back stretches. 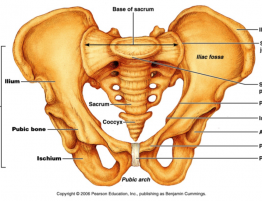 I also need to mention that from about 34/35 weeks I started preparing my pelvic floor for birth. So instead of focusing on strengthening my pelvic floor, I focus more on relaxing it to decrease the strain on my pelvic floor during labour. 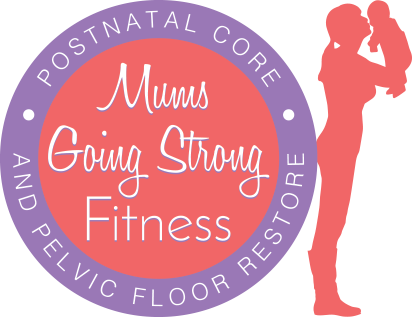 The pelvic floor will recover quicker from birth if it’s strong and toned (that’s why strengthening it is important), but the pelvic floor also needs to relax to allow birth of the baby; a tense pelvic floor can slow down the whole process (and add more trauma to the pelvic floor). When we are doing pelvic floor-strengthening exercises, as we exhale we lift the pelvic floor and as we inhale we relax it (and both phases are important). When we are practicing relaxing of the pelvic floor as we inhale, we relax the pelvic floor, and as we exhale we still try to keep the pelvic floor open. Anita Lambert from Holistic Health Physiotherapy has a great visualisations exercise called “flower bloom breath”. Follow this link to check it out. I have to admit that my nutrition during this trimester could be better. And it’s not that I was eating for two or eating bad food. I actually didn’t eat enough. That’s not what I planned; I was just busy (excuse I always hear from my clients) and often unprepared or just tired (probably I would have more energy if I ate better). I ate lots of fruit (with that I’ve been consistent during my whole pregnancy), but I definitely didn’t eat enough proteins. My dinners often were similar to my son’s (unless hubby was at home) so that meant simple protein like chicken or fish and just veggies cut on the plate (couldn’t even be bothered to even make a salad). Mentally, though, I think this trimester has been the best. 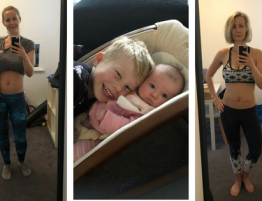 As I looked pregnant and I could really feel pregnant, not doing certain exercises and dropping the weights didn’t really bother me that much. Same in terms of body image as you could tell I’m definitely pregnant; I just embraced it. I didn’t think as much about the muscles I’ve lost, getting cellulite, etc. What probably also helped was not having a full-length mirror for the most of my third trimester (we were doing little bit of redecorating before the baby, and we removed our wall mirrors and didn’t get the new ones till pretty much the end of the pregnancy). So I couldn’t check myself out and think about the things I don’t like about myself (life is too short for that anyway). I put my energy into nesting, organizing storage, and shopping for the baby-girl clothes ☺.